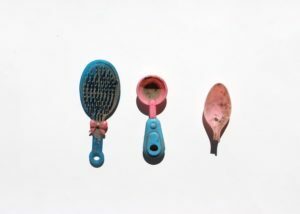 Artist Annabel Dover will talk about her residency at the British School at Athens and our multivalent relationship to objects. My chief research focus whilst at the British School at Athens engaged with the school’s research theme of ‘building the archive’. My PhD research focused on presenting an alternative taxonomy. My study of the early photographer Anna Atkins looked at the specimens she presents less as conclusive evidence, more reflecting on them as a starting point to explore her biography. Whilst in Athens I documented accidental artefacts left behind by the people who catalogued the Finlay Museum; items such as an airmail envelope with notes on, or discarded pieces of paper with the item numbers of the potsherds in the collection. I made paintings and drawings of these artefacts alongside the displayed artefacts of the Finlay Museum and presented these works in a loose-leaf album. I volunteered at City Plaza Hotel, a hotel that went bankrupt in the crash of 2007, now a refugee hostel. I photographed groups of objects belonging to the residents of the hostel: bags of earth brought from their home countries, rose petals they collected and sometimes I collected for them that their mothers put in their bras to make them smell nice, oranges they picked from the trees that grow on the streets of Athens that they ate. 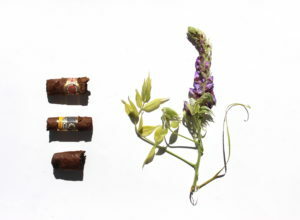 Cigar ends that belonged to the rich men of Athens that they dreamt of being. 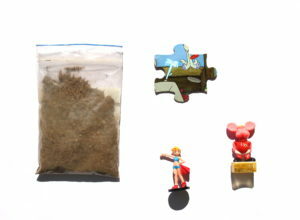 Lucky charms Greek people they met had given to them when they were ill and the toys that became dirty on their long journey to Greece. My time at the BSA provided me with an overwhelming amount of material that will continue to influence my work in the future. I would particularly like to focus on the wildlife of the Ancient Agora site. I have used humane moth traps in the past and I would be very interested in documenting the moths of the Ancient Athenian Agora, as a metaphor for the life of the city returning after dark. Among the other areas of research, I encountered at the BSA, that I am very interested to follow are: archeological squeezes and the indexical parallels they have with the cyanotype, the works of Piet de Jong and Alice Lidsell’s botanical notebook who was resident at the BSA 1930-31 and whose watercolours are now housed by Newnham College, Cambridge. 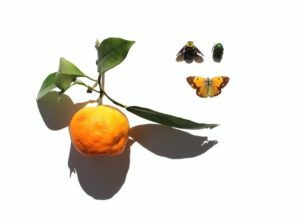 This entry was posted in Events and tagged Annabel Dover, British School at Athens on December 20, 2017 by Nick Tatchell.